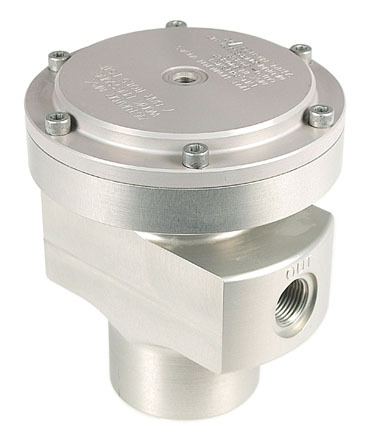 The RH range of Proportional Dome Loaded Pressure Regulators allow the flow of a Gas or Liquid at a controlled pressure. The outet pressure is set by adjusting the pressure within the control dome. Series RH 5, 6, 7, 11, 15 & 17 are available in Stainless Steel, Nickel Aluminium Bronze, Brass or Aluminium with outlet pressures ranging from 0 to 400bar, utilising control pressures between 0 and 7bar. Standard port connections are from G3/8" to G1" with CV values of 0.08 to 6.